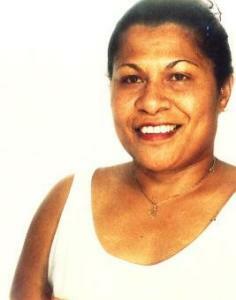 Miriama Tuisorisori represented Fiji in Athletics at the 1969, 1971 and 1975 South Pacific Games where she won 6 gold, 3 silver and 4 bronze medals. She then went to represent Fiji at the Commonwealth Games in New Zealand in 1974 and that the 1976 Olympic Games in the Pentathlon and Hurdles events. The 1984 Olympic Games saw her participate in the 100 metres and 200 metres. As well as representing the country of her birth, Fiji, she was also worthy of selection to the New Zealand Athletics Team at the 1978 Commonwealth Games. Miriama married and moved to Noumea where she represented New Caledonia at the 1979 and 1983 South Pacific and Mini Games winning 5 gold, 2 silver and 1 bronze as well as representing France in the World Cup and European Championships from 1979 – 1995. During her sporting career of more that 26 years Miriama broke South Pacific Games and Fiji records in almost all events she participated in: long jump, hurdles, pentathlon, 100 metres, 200 metres and high jump. The long jump records she set at the 1979 south Pacific Games of 5.76 metres still stands at the time of her induction.